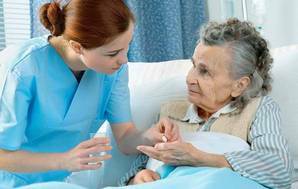 Inadequate staffing continues to be a major issue in rest homes where shortfalls are found. We’ve looked into auditing requirements and provide free advice on choosing a rest home. When Robert Love visited his mother in St Kilda rest home on the morning of 24 October, he found her shivering under a thin blanket in a urine-soaked bed. Her room was cold, the window wide open and the call bell out of reach. Robert’s mother, Freda, died in February. For much of the last 6 months of her life, she lived at the St Kilda Care Home in Cambridge. Robert paid an extra $52 a night for Freda to have a premium room, believing she would receive a higher standard of care. That proved not to be the case. 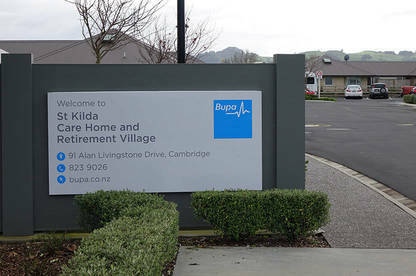 St Kilda is owned by Bupa, which operates about 60 aged-care facilities. When Robert complained to the company about finding his 92-year-old mother in urine-soaked bedding, it apologised and blamed the problem on new caregivers, who it conceded should have been supervised by the nurse on duty. Despite the apology, problems persisted over the following months. It proved to be the first of several apologies Robert would receive from the home. Freda Love required hospital-level care. She couldn’t speak and relied on Robert, who had enduring power of attorney, to act on her behalf. Robert visited St Kilda regularly. Several times, he found his mother lying in a wet bed because her catheter was leaking and staff didn’t have the expertise to fix the problem. More than once, she was admitted to Waikato Hospital where the catheter was replaced. Freda’s frailty also meant she needed 2 caregivers to lift her. However, the home’s premium room staffing ratio of one caregiver for every 10 residents meant she sometimes had to wait hours for assistance. Robert says the family was told staff couldn’t attend to her at all during mealtimes. After one instance where his mother waited more than 2 hours to be taken to the bathroom, Robert wrote to Bupa expressing his concerns about her care. More than a month later, the company sent him a letter apologising. Robert says he also complained about the care of his mother’s pressure wound and the temperature of her room. During the day, the north-facing room could reach 33°C. He ended up spending $1400 on a fan and a portable air conditioning unit in an effort to bring down the temperature to a comfortable level. 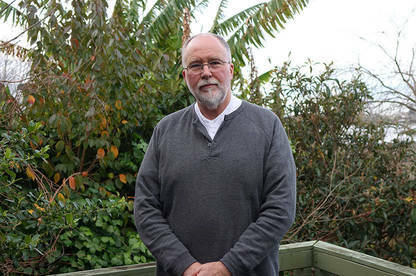 Frustrated with the ongoing problems, Robert complained to the Waikato District Health Board (DHB). Shortly after, Freda’s deteriorating health meant she had to be transferred to Waikato Hospital and Robert says Bupa informed him it could no longer provide care. Freda died several weeks later. After her death, the DHB told Robert it had requested evidence from Bupa that shortfalls at the home, including staff training on catheter management, had been addressed. It also said the issues he’d raised would be flagged with auditors ahead of the home’s next surveillance audit, due in the next 3 months. Robert has since complained to the Health and Disability Commissioner about the care provided to his mother. He is also taking Bupa to the Disputes Tribunal seeking recovery of the premium room fee and other costs incurred. Bupa declined to respond to our questions about the case. It said its premium service didn’t provide a higher level of care but related to the “hotel-type” services available, such as Sky TV. Internationally, several indicators are used to assess the health and wellbeing of rest home residents. Data on these indicators have only recently become available here through the Interrai project. Figures for 2016 show 35% of rest home residents had one or more falls. 14% experienced daily pain, 11% had a pressure ulcer or were at risk of developing one and 28% were at risk of being malnourished. While data are being collected for all rest homes, only aggregated national figures are published. This means it’s not possible for consumers to compare homes using the Interrai indicators. What standards are rest homes required to meet? Rest homes are required to meet healthcare standards developed under the Health and Disability Services (Safety) Act 2001. There are 50 standards and 101 criteria within the standards that can be assessed when a home is audited. Not every standard will be assessed at every audit. How often are rest homes audited? That depends on their level of compliance with healthcare standards. Homes with a high level of compliance will be audited less often than those with poor compliance. Certification audits are carried out to assess compliance. Homes are certified by the Ministry of Health for a period of between one and four years depending on the audit results. Surveillance audits are carried out halfway through the home’s certification period. These audits are intended to check the home has addressed any shortfalls and that standards haven’t dropped. Does the home know when the audit will take place? Yes. While surveillance audits can be referred to as “spot audits”, they typically occur within a three-month period either side of the midpoint of the home’s certification period. Outside of the audit process, homes can be subject to unannounced inspections by the Ministry of Health. But they don’t happen often. We’ve previously reported on unannounced inspections that have uncovered problems not picked up in routine audits. Agencies designated under the Health and Disability Services (Safety) Act to audit healthcare services. Rest homes can select the audit agency they want to use. The audit report is reviewed by the rest home before it’s provided to the district health board. Do auditors speak to residents and their families? A sample of residents, family and staff will usually be interviewed during an audit. Auditors also select a sample of residents’ records to review. Where are the audits published? Audit reports are published on the Ministry of Health website. If you’re looking for a rest home for yourself or a family member, there are 2 key processes you need to know about: the needs assessment and the financial assessment. This determines the level of care and is mandatory if you want to apply for a residential care subsidy. The assessment considers the person’s physical and mental abilities, their emotional state and the level of family and community support. The assessment, which is free, will produce a grading between very low and very high. A person with high or very high needs will face significant safety issues staying at home. They will probably need to be in a rest home or getting specialised hospital care. Your GP or district health board can put you in touch with needs assessment agencies in your area. You can also find a list of agencies on the Ministry of Health website. If you’re assessed as needing long-term care, you may be eligible for a residential care subsidy. The needs assessor can provide an application form. Both assets and income are taken into account. Even if you’re not eligible for a subsidy, there’s a cap on the amount you or any individual must pay towards your care. Maximum contributions vary slightly by district. At 1 July 2017, the maximum weekly contribution in Auckland city is $1062.95; in Southland, it’s $973.91. The maximum contribution applies to any person who has been assessed as requiring long-term care. Rates are reviewed each year. For detailed information on the residential care subsidy, go to Work and Income. Work and Income assesses eligibility for the subsidy. District health boards (DHBs): DHBs distribute public funding to rest homes. Under the terms of funding contracts, they can act on complaints and investigate any rest home to ensure it’s providing a safe service. Ministry of Health: The Health and Disability Services (Safety) Act gives the ministry the power to enter and inspect any rest home to assess whether health care services are being provided in a safe and satisfactory manner. Health and Disability Commissioner: The commissioner has the power to investigate complaints about the provision of a health or disability service to a rest-home resident. The Nationwide Health and Disability Advocacy Service is also available to anyone with a concern about a rest home (or any other health or disability provider). It doesn’t have powers to investigate complaints: its role is to support consumers, as well as those acting on their behalf, in resolving problems. Three years ago, we reported on shortfalls in care at another home owned by Bupa, Elizabeth R Rest Home and Hospital in Taranaki. An unannounced inspection of the home in 2013 found an elderly male resident had been strapped to a chair to restrain him because the facility was short-staffed. The Ministry of Health inspection found inadequate staffing levels and the home’s staffing policy wasn’t being followed. In March this year, Bupa was criticised by Deputy Health and Disability Commissioner Rose Wall for substandard care provided to a 74-year-old man suffering from cancer. The man was a resident at a Bupa facility in 2013. Ms Wall’s report found staff made multiple medication errors and failed to provide adequate pain relief. In 2016, Bupa was the subject of another adverse report by the commissioner’s office. The report concluded Bupa had failed to provide services with reasonable care and skill to a 77-year-old man receiving respite care. Bupa was required to apologise to the family and arrange additional staff training. Bupa isn’t the only major rest home provider to be criticised by the commissioner’s office in the past year. Oceania Care, which operates 43 aged-care facilities, was named in a 2016 report for failings in care provided to an elderly woman at its Gracelands Lifestyle Care home in Hastings. The 77-year-old, a resident at the facility in 2014, had lung cancer and a painful skin condition, which the home failed to manage with adequate pain relief. Another 2016 report by the deputy commissioner found fault with medical care provided to an 89-year-old woman at Rita Angus Retirement Village, owned by Ryman Healthcare, in Wellington. The woman was given drugs prescribed for a different resident and staff failed to follow the village’s policy for dealing with medication errors. Like Bupa, both Oceania and Ryman were required to apologise to the families and arrange additional staff training. Since January 2015, the Ministry of Health has carried out unannounced inspections of just 6 rest homes. These inspections may be done when the ministry receives a complaint about a home it believes warrants investigation. However, not every complaint results in an inspection. Our tables summarise the inspection findings. Since 2009, we’ve been reporting on rest home complaints. Inadequate staffing has continued to be a major issue in homes where shortfalls are found. Rest homes are expected to have sufficient staff to meet residents’ needs. However, minimum staff-to-resident ratios set in funding contracts between district health boards and rest homes remain low. A home with 50 residents is only required to have 2 caregivers on duty. For Robert Love, there’s no question the quality of his mother’s remaining months of life would have been significantly improved if staffing levels had been higher and staff were adequately trained. Per resident, this level of staffing allows an average of 6.7 hours of care a week, well below the 12-hour minimum recommended in Indicators for Safe Aged-care and Dementia-care for Consumers, voluntary guidelines produced by the Ministry of Health and Standards New Zealand in 2005. We’ve previously called for the staff-to-resident ratios in the guidelines to be mandatory. Former Human Rights Commissioner Judy McGregor made the same recommendation in her 2012 report on aged care, which also called for wages of the predominantly female workforce to be raised. The government has moved to increase wages following the successful pay equity case brought by rest home worker Kristine Bartlett and the E Tu union. A $2 billion government settlement rolled out last month saw caregivers’ pay increase by at least 15%. However, there are no plans to boost staffing levels. Higher staff-to-resident ratios continue to be opposed by the industry. 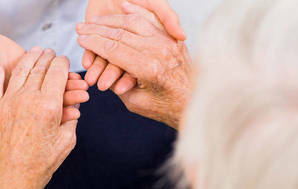 Simon Wallace, chief executive of industry body the New Zealand Aged Care Association, believes the sector is “well regulated” and higher staffing isn’t required. Mr Wallace declined to provide data on average care hours in the industry. The weight of evidence from systematic reviews suggests homes with higher staffing levels, typically not-for-profit facilities, deliver better care. The authors of a 2016 review published in the journal PLOS Medicine commented there was a “well-established association” between higher levels of nursing staff and better care. They reported higher staffing levels were not only linked to lower staff turnover but also improved outcomes for residents, including less time in bed, incontinence care, exercise and lower rates of pressure injuries. For Robert Love, there’s no question the quality of his mother’s last months of life would have been significantly improved if staffing levels had been higher and staff were adequately trained. “Bupa represented both itself and its staff as being well trained and highly competent. This does not reconcile to the many occasions when there were serious failures in the provision of essential care for my mother,” he says. He remains hopeful his complaint to the Health and Disability Commissioner will be investigated. Download a copy of our rest home checklist as well as copies of earlier Consumer magazine articles. The Freda Love Fund has been established to help people take complaints against rest homes to the Disputes Tribunal. We established the fund after receiving a donation from Robert Love, a Consumer NZ member who won his tribunal case against rest home provider Bupa Care Services. View our list of rest homes which have had complaints investigated by the Health and Disability Commissioner, Ministry of Health, a district health board or coroner. The Consumer Advice Line is available to all our members for support on any consumer-related issue. Our expert advisers can explain your rights and help you resolve problems with a retailer. Return rest home care to the DHBs umbrella of responsibility. I would recommend privatisation of older health care be abolished. Residents were cared for better when they were under the district health boards. Nurses etc paid the same as nurses etc in public hospitals. These older people were people who had full, active and contributing lives and need to be treated with respect. The Government needs to look closely at Waikato DHB and Bupa. An unannounced audit in June found many serious failures and problems at the St Kilda Care Home to be on-going from 2016/17. It should be alarming that it took the DHB this long to call for the audit. Why did the mistreatment and abuse that took place in Bupa St Kilda during 2016 and 2017 not triggered unannounced audits over 18 months ago? There can be no doubt that had I, with the support of Consumer not persisted with our concerns the June audit would not have been undertaken. The reluctance on the part of the DHB is in itself very concerning. The audit in June found many issues to be seriously wrong at Bupa St Kilda while highlighting the inadequacy of scheduled certification audits which are announced, expected and prepared for, by the Care Home owners. All audits, to be meaningful, should be unannounced. What is also deeply troubling is the manner in which both the DHB and Bupa have misrepresented this audit in June. Press statements made by both organizations on this matter are factually incorrect and misleading. There is something rotten in the state of Waikato.